Former Marine Corps Major Jake Vincenzo had a plan. He was convinced that his son Mark and his long-time best friend Cade were in love but just didn't know it. 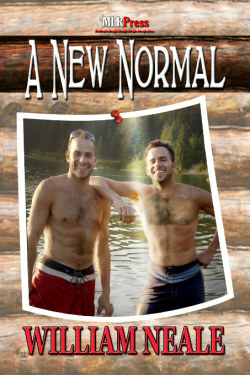 Forced for years to hide his own gayness, Jake had kept a secret getaway -- a remote mountain cabin -- where he now intended to play matchmaker for the two nineteen year-olds. What he didn't count on was falling in love with Cade. How will the three navigate the minefields of potential hurt, jealousy and even betrayal? How will father and son maintain their close relationship without viewing each other as rivals? And how will Cade reconcile falling in love with the two most important men in his life against the backdrop of a disapproving family? For each, it means redefining normal. It means finding a new normal.